Constructing such a large structure so far off of the grid at such a high altitude was a major undertaking. 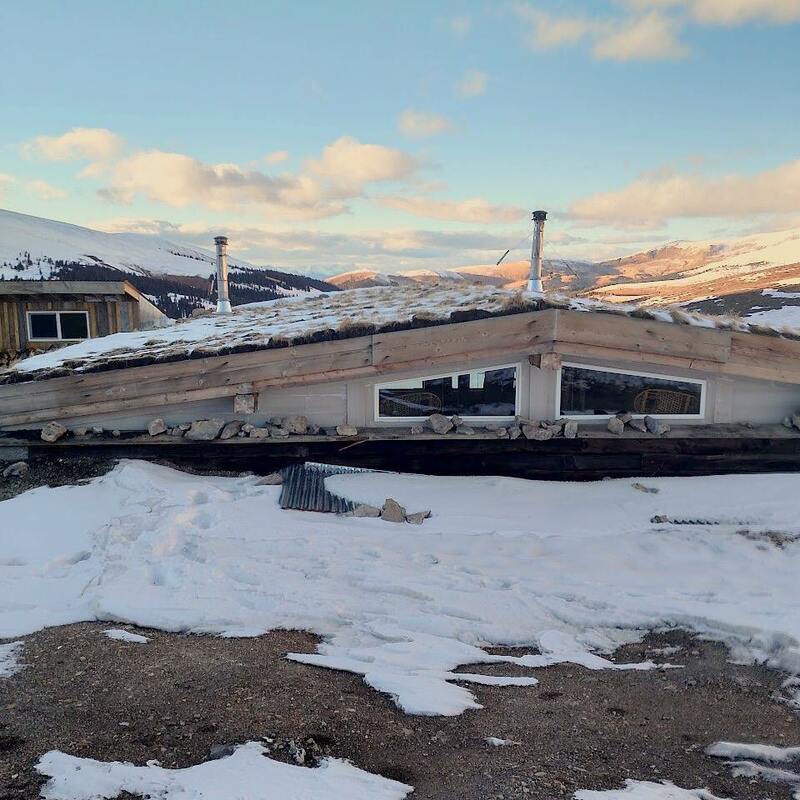 It took six seasons of construction before we could open the hut. Yet the hut is always an evolving project, and we will continue to tackle new projects that enhance the comfort and experience for all of our guests. This summer we installed solar power as our major project. Now the project is nearing completion. 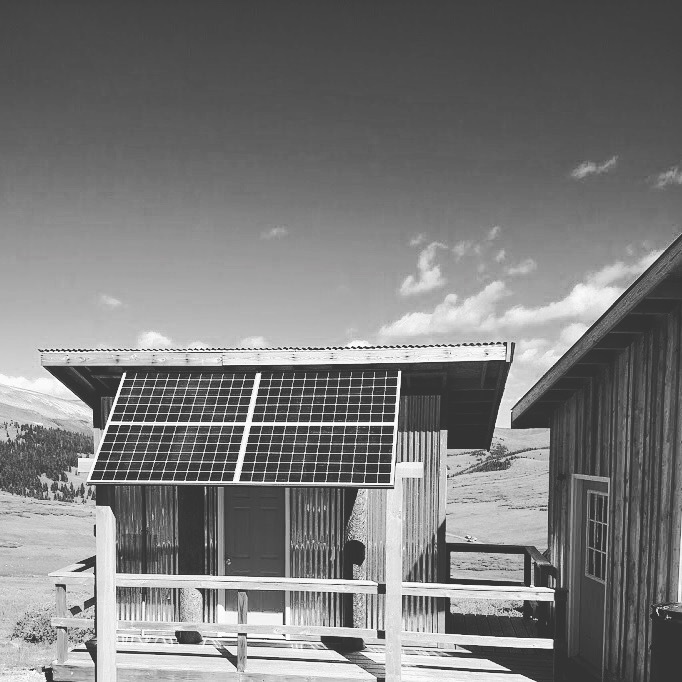 The solar power system will light up the hut and make it easier for guests to ease into their stays. Our panels are built on an adjustable frame so that we can alter the angle for the summer and winter seasons. Book your adventure in the Mosquito Range today! Do you want to know more about the Hut? Do you want to know what it takes to build a hut at nearly 12,000 feet? Thanks to Radify’s podcast you can get answers to these questions and more. Radify is pioneering alternative development projects that prioritize urbanism, environmentalism, and non-conformity. They also produce a podcast that documents amazing development projects throughout the world. Check out episode 014 here. 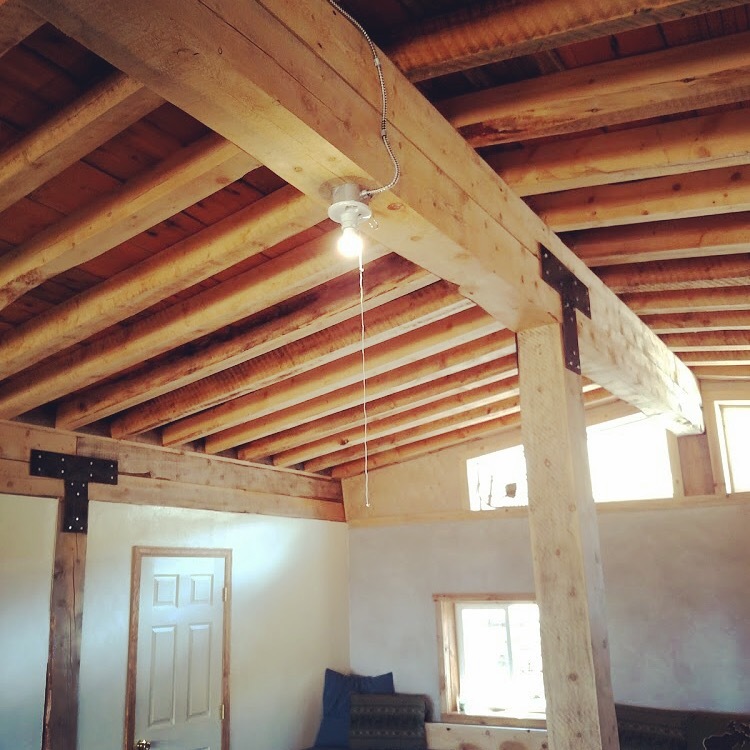 One of our members, Kim-Lee Tuxhorn, describes the hut, the experience constructing it, and everything that you can do up there. Early morning, the light just coming up beyond the ridge to the east. It’s dark down at the Weston Pass Hut. No electricity, and the fire from last night is out. Wake, man. It’s time to run. I slide from under my sleeping bag and strip off my thin sleep suit. It’s chilly here at almost 12,000 feet, even indoors. Rummage through the small pile of clothes at the foot of the bed, pull on warm tights and a t-shirt, a headlamp. Slip on socks and pad out through the main space, grab my two water bottles and fill them up at the sink. Nobody else is here, the quiet soothing of mountain loneliness has worked its magic all night. I look out through the wide glass window over the long spread of the valley to the north. Light is creeping over the east ridge, just kissing South Peak off to the west. Strapping on the HR monitor I see my heart is thumping along about 10 beats a minute more than normal. That’s fine, my sea level body is still adjusting to this thin mountain air. This is why I’m here. 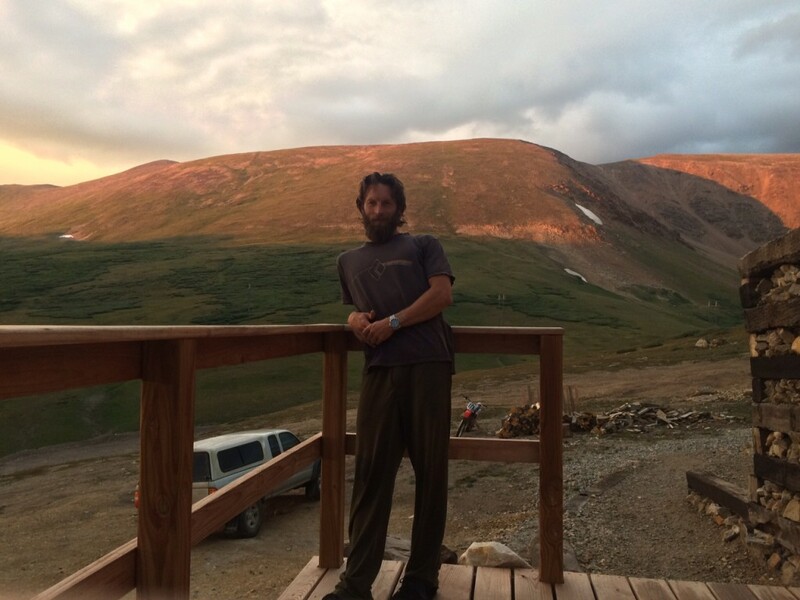 The 2015 Leadville Trail 100 is 2 weeks away and this place, this hut, is the final base for my third attempt. I’d been at 7,000′ for the past two weeks. I needed a place that was higher. I wanted a place that was away from people so I could focus. I dreamt of a place I could train in the mountains with abandon. The hut was all of them. Surrounded by a few thousand acres of BLM land, almost completely untouched and blessed with plenty of high mountain ridges, flower filled meadows, scree, and goat-thin trails, this is a mountain runner’s paradise. Over to the mudroom, what I called “the airlock.” Cooler in here by a few more degrees yet. It would be a chill morning. Step into shoes, tighten the laces and pull on thin running gloves. I’m out the front door into the bracing morning air. Swinging my arms a few times to get the blood moving, a few air squats, and then a walk that slowly turns into a shuffle as I head up to the Pass itself. My run today will head directly east from the Pass, climbing sharply up to the ridge at 13,500′ then head north along the ridge line. It’s a steep intro to today’s run, that first climb. Puffing at the top after a long scramble, looking over the edge to the stark eastern bowl, I see a mountain goat not a hundred yards away. Unhurried, unscared, it wanders over the edge of the cirque, easily picking its way down along cracks I wouldn’t trust my shoes to. A gift, another soul to break the loneliness, it is gone again. I head north now, following the ridge as it snakes its way toward the town of Leadville, 10 miles to the northwest as the hawk flies, a 40 minute drive down 30 minutes of washed out road. Glorious isolation. To my left is the Weston Pass valley, almost completely uninhabited. No lights, no houses on this stretch. Occasionally a four wheeler crawls up the road, but it’s all far away and a few thousand feet below. I glance back to the south and see WPH, standing guard at the pass. I run on. The view on both sides is clear and clean. In the distance to the east I see flat farmland. To the west past the far ridge stand the Collegiate Peaks. Lakes, high timber, scree all around. Well above treeline, the morning wind gusts across with no breaks. Lichen and rocks up here. Picking my way across the fields of mountain weathered rocks, I dance. My God, this is what we lone-seeking runners dream of. The morning wears on, the sun climbs. I pass an old wooden structure, built for some purpose in another time. Dry boards creak in the wind. I’m out of water and well above the glistening valley stream. Thirsty. The air, chill and dry, scrapes against my throat. Dropping off the ridge far down the valley, I cross the thin coldness of a high mountain stream and refill. Almost too cold to drink, the bottles numb my hands. Descending through dark trees, then out into sunlit untrodden meadow and luxuriantly wet marsh. At the valley bottom I find the rutted road, climbing south back to my temporary base at the hut. The sun has moved over me and sinks to the west. A good run. I would run for another week here, heading out most days for long runs or hikes, climbing ridges and descending back to the valley road, preparing for the race ahead. Occasionally groups of people came up to stay the night. Bustling, noisy, jovial and always interesting, they were a varied bunch. Programmers, cyclists, climbing guides, wanderers. We shared good conversations long into the star sprent night, our faces lit by the glowing embers of the fireplace and the hissing brightness of gas lanterns. In the mornings it was quiet. In the mornings I ran. By the day of the race, August 22nd, I was ready. Weston, forgotten in the excitement of the start, had prepared me. Up and over Hope Pass without the gasping exertion of the unprepared, along the foothills and back to the final looping shuffle around Turquoise Lake and up Sixth to the finish. My lungs had adjusted, and with the help of family and friends led by my wife and team captain Lee Selman, I was able to push through the race in just under 29 hours. The bustle and excitement of finally knocking down a long standing goal temporarily whipped away memories of cherished quiet and loneliness out at that removed hut. The ribbon around my neck, the heaviness of the new buckle gave satisfaction that drove out all thoughts of preparation. As we drove south out of town, leaving Leadville and another running chapter of life behind, we passed the turn east out to Weston Pass. Quietly, I remembered. About the Author: When he’s not obsessing for years over some doubtful goal supported by long suffering family and friends, author Nik Hawks helps run Paleo Treats Inc out at sea level in San Diego. We spent halloween at the hut and the snow is starting to accumulate. We were able to drive nearly all the way to the hut, but had to hike the last 400 yards. I’m sure that conditions are quickly changing with the snowfalls that we are getting this week. So if you book a trip in for November, be prepared to ski or snowshoe at least part of the way. If you get into the trees, particularly on the South Park side of Weston Pass, you might find some early lines. The hut is starting to fill up for key dates in December and January, but there is still lots of room. Secure your stay and winter adventure by booking soon! Ski areas are starting to open and the snow is starting to fall. 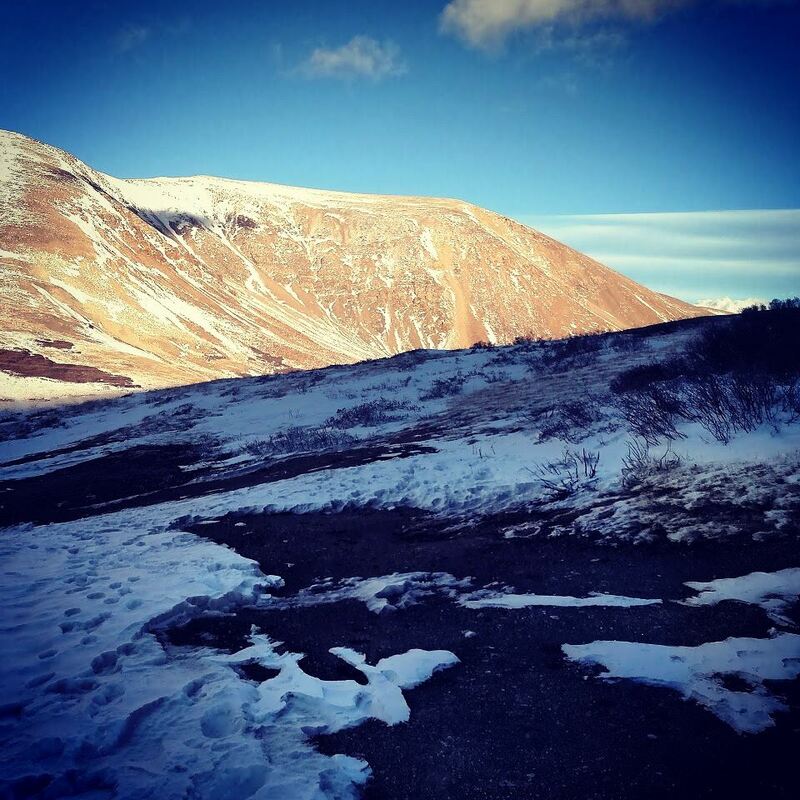 This is all great news for us, as it means many people will have a chance to incorporate Weston Pass Hut into their backcountry adventures. Although the hut wasn’t quite finished last year, we were able to utilize it in the winter for personal use. It is truly an amazing place in the winter. The trek in took us a little over four hours, but it could take longer depending upon the conditions. Although the wind was fierce and the weather was cold, the hut was a complete sanctuary. It wasn’t too long before some of us were hanging out in our t-shirts and sharing stories over beers. We cooked a great dinner, and just enjoyed the complete isolation that the hut offers. The next day was filled with backcountry skiing and mountain adventure. At the end of August we had some great volunteers help us in our final preparations for guests. With the help of our volunteers, we stocked the woodshed and moved the rest of our construction equipment from the site. 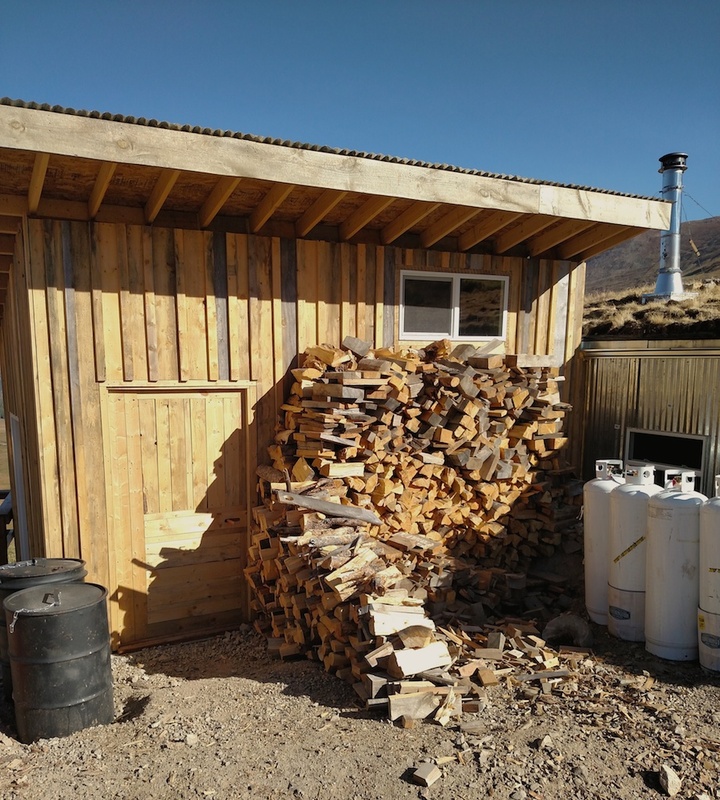 Now our woodshed is literally overflowing with firewood, and we are ready for a comfortable fall and winter no matter the temperature outside. The weekend was a great time to get some work done, but also enjoy the hut. Our primary goal with building this hut is to facilitate the adventures of many in a beautiful high mountain setting. So it was great to share the hut with others, and we hope that all of the volunteers will come back with only recreation on their mind. 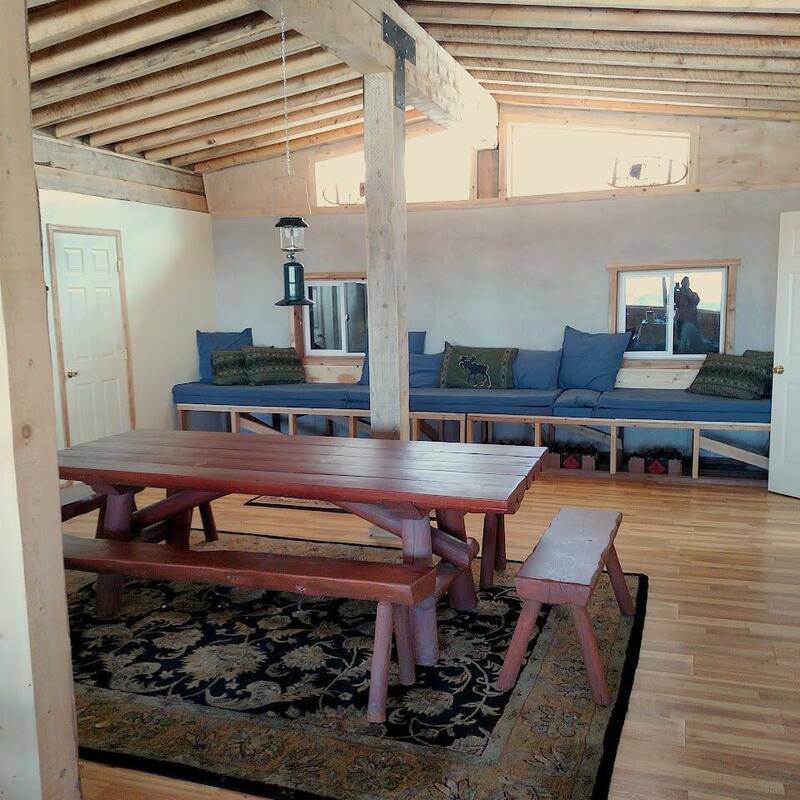 We are certainly excited that after a long construction period, the hut is now accepting guests. We are starting to cut firewood and we are very excited to be gearing up for our final building season. Stay posted as we will soon be providing information on how to book reservations!